Is your WhatsApp deleted from your mobile and all the chats are cleared up? WhatsApp stores the videos and images in the phone database once you open and view those files. But, the problem is once you uninstall the WhatsApp from your phone then all of these data are lost instantly. The only way to get back those deleted WhatsApp messages is by backing up from cloud storage like Google Drive and iCloud. If you don't have stored such back up still there are few third party tools which can help to recover deleted WhatsApp chat. WhatsApp provides an option to take the back up of your chat daily, weekly and monthly basis. You can save the backup and store into your Google Drive account in Android and iCloud account in iPhone. If you want to update the backup anytime you can do this manually either by overwriting the present backup file or saving as a new backup file in your mobile database. i) Did you tap “delete conversation” instead of “achieve messages” by mistake? This fault happens to most of the users. Don't worry, this is undoable by a few steps. ii) After formatting a phone, all of the internal data lost irretrievably including your WhatsApp. iii) If you want to shift the WhatsApp account to another mobile without taking the backup, you may lose the data. 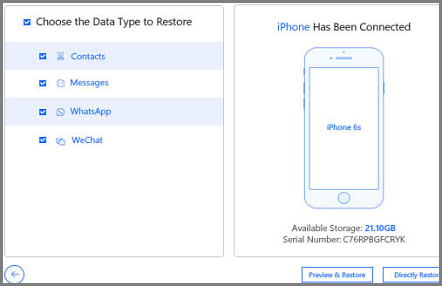 If you lose your WhatsApp data from iPhone, there are three ways you can restore it even if the backup is not taken. 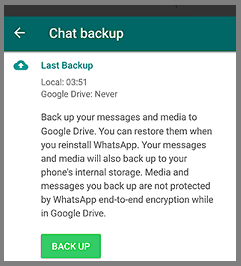 WhatsApp is having a backup feature in its settings. You can take the backup on a daily basis if you wish to. To turn on the backup mode just go to WhatsApp> Settings> Chats> Chat Backup and turn on the 'Auto Backup' option. You can turn on the 'Include Videos' option as well. Step 1: Reinstall your WhatsApp and register with the same number. Step 2: Once this is done, you will get the option to restore from iCloud. Step 3: Just tap on Restore Chat History option and within a few moments the backup will be restored. iTransor is the perfect tool to restore the deleted WhatsApp media and chats without affecting the new data. This tool is specially developed for the WeChat and WhatsApp data recovery. This is a desktop based tool which must be installed on your MacBook. Step 1: Just install it in your desktop and connect your iPhone there. Step 2: Once it is connected, it will ask to choose the data type to restore. Just select the WhatsApp from the list and click on 'Directly Restore' button. This is a similar process to iTransor but you may lose the new data in this process. So, better you take the backup of your current data. iTunes is used to take the backup in PC and restore from the backup from PC to iPhone. Step 1: Just open iTunes and connect your iPhone. Step 2: Now, the iPhone option will show up. Just select the iPhone icon and click on 'Restore Backup...' button. Did you store the backup in your Google Drive account? If yes, then you can restore the deleted file from there. Step 1: Just re-install the WhatsApp and register there again. Step 2: Now you will be asked to restore the backup file on your new WhatsApp. Just tap on 'RESTORE' button and this will be restored to the previous version including media. Note: If you skip the Restore option for later then this might not possible to do it again. But, if you don't have the backup stored in Google Drive just use the software and tools from the below list. The Undeleter tool is the best alternative to ES-Explorer. You can search the deleted file here which you have lost in WhatsApp. This app available for Android and can recover all WhatsApp data including videos and images. Note: You will need root access to work with this app. Click on the ES file explorer and look for WhatsApp folder, click on the folder and click the Database folder. Rename the selected file as you want for example 'Backup-msgstore.db.crypt8'. Now go back to the database folder and select the file or message you want to recover. Close the app and go to phone “Settings” and click on Apps> Whatsapp> ClearData and then click on OK. STEP 1: Install the EaseUS MobiSaver for Android in your computer and connect your mobile with your computer with USB cable. Click on the START button to make the software recognize your connected Android device. 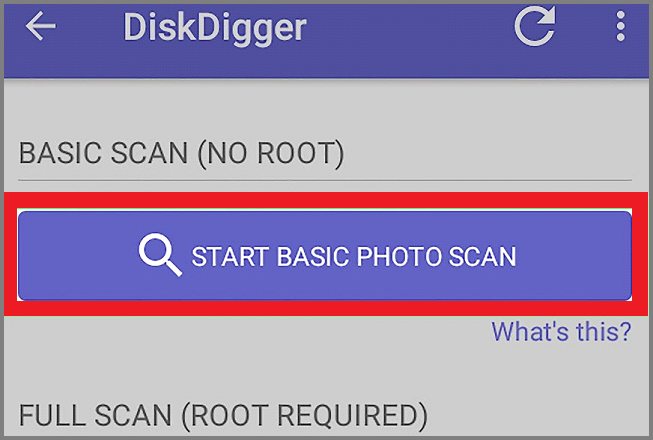 Step 2: After your phone is detected the software will scan your device and shows all the existing and lost data. Look for the file you want to recover. 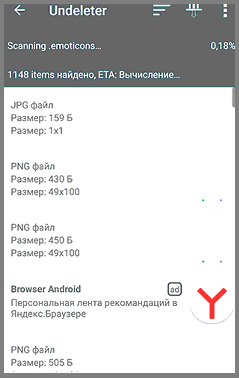 Step 3: Click on “Only display deleted items” button. Finally, click “Recover” button to recover all the deleted files. 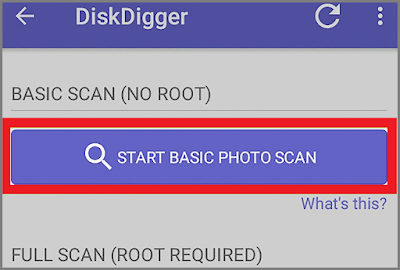 Step 1: Install the “DiskDigger Photo recovery” app from play store, Open the app and click on 'Start basic photo scan' button. Step 2: Tap on the “Settings” icon on the top and choose the 'minimum file date' and 'maximum file date' to enter the from date and to date, and make the app search photos within these two dates. Step 3: all the deleted photos will be shown on the display, select all the photos that you want to recover and tap the download icon. The best option for iPhone recovery is from WhatsApp iCloud backup, but the alternative to this is iTransor if you don't have the backup file. Also, for Android, you can choose any third party tool among the list and finally, choose the mode of recovery among the following options.